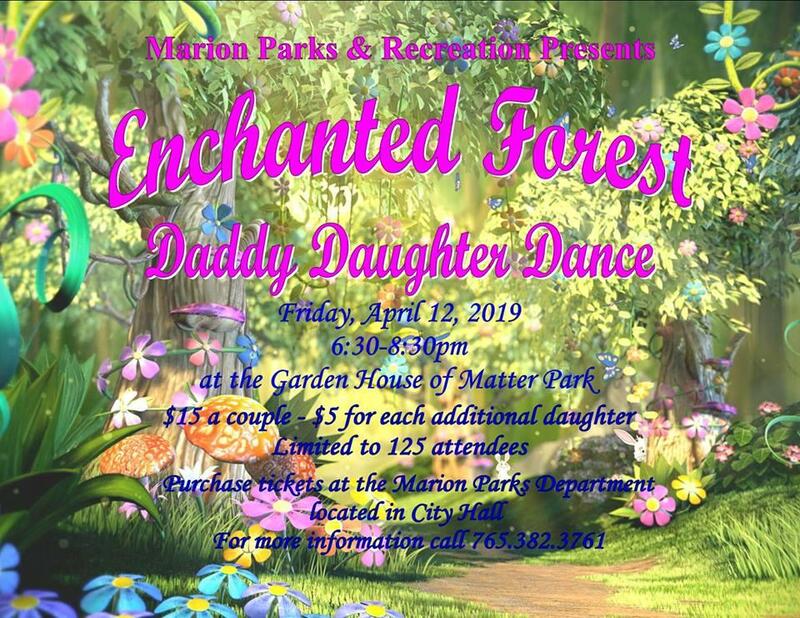 This year, Mar­i­on Parks & Recre­ation brings you the ​“Enchant­ed For­est” in the Gar­den House of Mat­ter Park for the Dad­dy Daugh­ter Dance on Fri­day, April 12th, 2019 from 6:30 – 8:30pm. Con­tact Rose Cade­na below to pur­chase your tick­ets. Remem­ber, these tick­ets sell out quickly.